Although resolution-dependent images were used more often in the past, today, such images have lost their importance and are being rarely used now. Businesses today, prefer vector images as vectorized images are resolution independent and hence provide better clarity and are not pixelated when expanded. This makes vector images one of the most preferred formats by companies across different industry sectors. 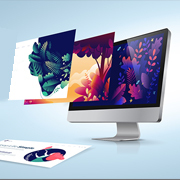 More and more companies are now looking to convert images to vector graphics format. At Outsource2india, we offer top-quality image to vector conversion services for numerous global clients. Our team of highly experienced image editors can help you to quickly convert your existing images into vector form. We will provide vector conversion, which will leave you with scalable, resolution-independent images. Our specialists will prepare your file to serve your intended purpose. Why Choose Us for Image to Vector Conversion Services? Outsource2india has been a leading provider of image to vector conversion services in India for over 20 years now. We have the required skills and experience to cater to any type of the client's image conversion requests. Our team of highly talented image editors has handled projects from clients of different backgrounds and domains. We have the required expertise to provide image conversion services for businesses across various fields and verticals. Apart from image to vector conversion, we also provide image optimization and vectorization services. If you are looking for a reliable, efficient, effective, and cost-effective image to vector conversion service provider, then you have come to the right place. Get in touch with us today.